For many people their morning begins with Facebook and their night ends with Facebook before they go to bed. With the ever-changing format of Facebook; have we become conditioned to accept them, no matter how much we don’t like those changes? When you look at Facebook today, there’s not much you can do with it to make it ‘personal.’ Facebook is like one giant form you fill out that displays as much information that you’re willing to give. The limits are based on the maximum information Facebook allows on your profile page and the bare minimum it allows for you to even have a profile at all. Everything else on your page is mixed into categories that Facebook has decided where they go when you “Like” certain pages. At the end of the day, it’s all about what Facebook wants your page to look like, not what you want at all. It did not always work like this. Back as soon as just a few years ago, Facebook was all about “you.” It wasn’t about what the designers wanted. It wasn’t about what advertisers wanted. It was about creating a social media platform that allowed individuals to express themselves and build a page that was suited to them. Users were able to control everything from what content they wanted on their profile page, all the way up to where they actually wanted it to appear on the page. Facebook used to let users move around where they wanted their menu bar to be, where they wanted their feed updates to be, even where they wanted certain applications to appear. Facebook used to be a vast website with a lot of possibilities. There were several tabs at the top of the page that allowed you to show off applications of all the music CDs you had, all the movies you had watched and compared your friends list with what they liked as well. A tab that showed all of these applications and your status on them all on one page. It was easy to share videos and photos with your friends without spamming your news feed. “Notes” were actually kept on their own tab and treated more like a Facebook journal. While they still exist, they are treated more like the forgotten side of Facebook that never existed. So what exactly happened to take the freedom away from Facebook? The short answer: Facebook became corporate. Let’s be honest about Facebook today. The benefits in social media and advertising are vast. The dollars spent by companies on social media advertising is growing exponentially year after year thanks to the ability to reach million of people in an instant. Pages for department stores, restaurants, etc. post like they are every day people like the consumers on Facebook. They act down to earth and just like every other person and then from time to time they throw an offer your way that seems like a friend is giving you a deal. This is so important to businesses that many companies in recent years have someone within their company who’s entire job it is to interact on social media platforms. The hottest job out there right now if you can get it is being a Social Media Coordinator. Social Media Coordinators (SMC) are a hot trend and they have the salary to prove it. The salary for an SMC is around $46,000. In comparing that with other standard advertising jobs, the different in salary averages around only $13,000. While that might seem like a large amount of money, the person on the winning end is the SMC as their job lets them live on the internet and place on Facebook, Twitter, LinkedIn, Youtube, etc. all day long. While a standard advertising executive might have to travel, make cold calls, still deal with prints and news media advertising, etc. The SMC is a vital position in an ever-changing social media front. So what does all of this have to do with the changes on Facebook? It’s quite simple: Money is power. For Facebook they have become the advertisers dream. Every change in recent years has taken away the power of Facebook from the user and put it in the hands of the advertiser. After all, those advertisers are the ones who pay the bills. Everything from the layout of a page, to the way the news feed comes across have all been changes that benefit those who advertise on Facebook. Take for instance the most recent change from a few days ago. Facebook has created a news stream that the top stories on your feed are based on items that have the most activity upon them. While this isn’t reflected upon pages themselves, it is directly reflected when a friend shares an offer from a page, a story from a media outlet, etc. If that item that is shared gets a few comments and several “likes,” then it is placed as a “top story” on the news feed. It’s a sneaky backdoor for companies to push their products right underneath your nose while it’s appearing like one of your friends is just sharing a good deal. Facebook has been making many changes like this over recent years and people have complained about them time and time again. With the way Facebook has done it however, it has been done in such a way that people have been conditioned just to accept it as it is. There will be complaints on status updates for a few days and then everything is back to normal. It ends up being as if no update or change ever took place. People forget about the old way and adapt to the new one. Why is this though? It’s an addiction at the end of the day for a lot of people. When you look at smoking, drinking, etc. those are all addictions that have one key element to them; habit. Something becomes so habitual that even when it changes, you still will take any part of that product or item you can get because you’ve become addicted to it. With social media platforms like Facebook the addiction comes from wanting to be ‘in the know’ about what happened 5 minutes ago or what’s going to happen a few days from now with someone, anyone for that matter. Facebook has become the new way of people watching that your grandmother used to do out on her front porch. You don’t have to wait for something to happen though because it’s all happening every moment of every day. The need for new information is non-stop once you’ve had a taste of it. With that type of feeling, then there’s almost anything one will put up with so long as that addiction is fed in one way or another. So what can be done to curb the social media addiction and to stop companies from ruling Facebook over what’s supposed to be for individuals to keep in touch? The answer is simple: turn off the computer. It’s either that or find a new/better social media platform. After all, that’s what everyone did when Myspace let advertisers take over. How quickly we forget. The difference is Facebook has been more subtle about the advertising take over. They’ve been smart and manipulative, which is exactly what it takes to keep tens or millions of people in line with that you want them to do. While we might be making Facebook out to seem like a bad guy, they really aren’t at the end of the day. They are just another business trying to make a profit like all of their advertising clients. If the people really wanted the power back, they’d try and fight their addiction. At the end of the day if millions of people started leaving Facebook, they’d have no choice but to listen. While it’s doubtful that millions of people would jump off of Facebook overnight, those same people who are complaining yet continue to use Facebook will only get more of the same from the social media site. Facebook is interested in making money and as little individual consumers, the ball is currently being held by the other team. 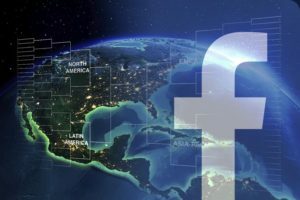 Their changes and conditioning will continue until the users of Facebook take the ball back into their court and no longer support an enterprise that is only there to use them as little pawns. Until that happens, remember what you’ve read here to and stop and think about the next big change that Facebook makes. Look at how the user got the short end of the stick once again and how the advertiser got put up top. That might just be the instance you need to open your browser to somewhere else. ← Breaking News: The Media Doesn’t Care About You!